tl;dr The word “blockchain” has unfortunately lost much meaning due to overuse. What will outlast the booms and busts is the idea of open networks. Participant ownership and open architecture are laying a modular foundation for the future of value transfer in the spirit of open source software. The hype, the hangover, and the cure. Blockchain is a database. A cryptographically linked list. For the uninitiated, imagine spreadsheets tied together by a password. A database never changed the world, but what we can do with organized data has and will continue to do so. After reflecting on the mania and the subsequent doubt, I can’t help but think both emotions are exaggerated. The longer term future remains unchanged. And yet it felt manic & exuberant in 2017, but confused & directionless today. “Crypto” used to be simple: an experiment for a digital currency without a centralized settlement layer. Cypherpunk money. Now, “crypto” includes not only the cypherpunks but also Silicon Valley, governments, investment banks and recently even the likes of the IMF and AWS. Young and old. Hackers and suits. Con artists and visionaries. The new Wild West. But because of its mimetic fatigue, the word “blockchain” has lost meaning just like the word “love,” “freedom,” or “amazing.” General, vague, and un-uniquely positive. Amidst the hype, zooming out keeps us grounded. Focusing less on the next “narrative” in 6 months and more on what will remain in 20 years. It’s a great rough compass. Inherently impossible yet clarifying. Retire words that have lost meaning. The word “blockchain” has come to be associated with everything from digital currency, digital commodity, banking services, Internet services, supply chains, cost reduction, transparency, to speculation and scams. Simple buzzwords are often countersignals for finding teams solving problems for customers, and everyone would be better off if we retire the word “blockchain” from non-technical discussions. Make the industry more credible. Lead entrepreneurs and developers in more compelling directions–preventing misallocated time and capital. Remove room for bad actors to jump in with vague promises. That said, if we’re talking about a cryptographically linked list and alternate implementations, you’re welcome to use the b-word to your heart’s desire. Not much will be at loss. Compelling projects can describe their business without the word, and scam projects won’t be able to say much without it. If we retire the word “blockchain,” then what is the common thread among the various startups in the industry? My guess is that cryptographically linked lists, various Internet monies and smart contracts are “the trees” and not “the forest.” The various “blockchain” ideas are all puzzle pieces for a world built with open networks. Open networks are networks that share resources and responsibilities with their participants. Open networks are characterized by data architecture (or operations) that allows for participants to own the data (assets) or access (earnings). Open networks accelerate progress by (1) experimenting faster with modular architecture and (2) incentivizing people to reward better networks with their attention/time/business. Data from the network. Can verify, share and query data that you contribute. Building on the network. Can build adjacent services and alternate interfaces. Wealth from the network. Receive share of revenue and assets. In contrast, managed networks (or closed networks) are networks that provide a service in exchange for your assets. They make revenue by (1) selling you products based on the assets you’ve provided them or (2) renting/selling those assets to third parties. Notably, the aggregating forces of the past several decades has made it more profitable provide the service for free to capture more market share and to rather sell the assets traded (data and attention) for the service provided. The corollary to the shared benefits of open networks is that participants also need to assume some responsibilities. Manage keys. Upload files. Verify each other’s work. Make the network more useful and safer for peers. It’s not binary (open or closed), but rather a spectrum. The degree of openness vary across the dimensions discussed above. Some managed networks may even start to exhibit aspects of participant owned networks–with or without blockchain. For example, Airbnb is considering a program to give its top hosts equity in the company. Many have made compelling analogies that open networks are more like cities than firms. And if managed networks are like castles, where farmers took safety under the trust of the lord, open networks are more like urban sprawls (more on this here: Cathedral and the Bazaar or The Square and the Tower). Residents benefit from the work of previous residents and serve other residents by committing labor and capital to the city. Following basic rules, residents are free to enjoy the commons and participate–making the city vibrant. This matters more now than ever. Wealth inequality and lack of trust in institutions are the largest risks to societal stability today. As such, open networks are essential infrastructure for a stable and cooperative future. Despite the greed/hype of 2017, the intuition that crypto & the b-word are on the right side of history is likely stemming from this latent potential of open networks. 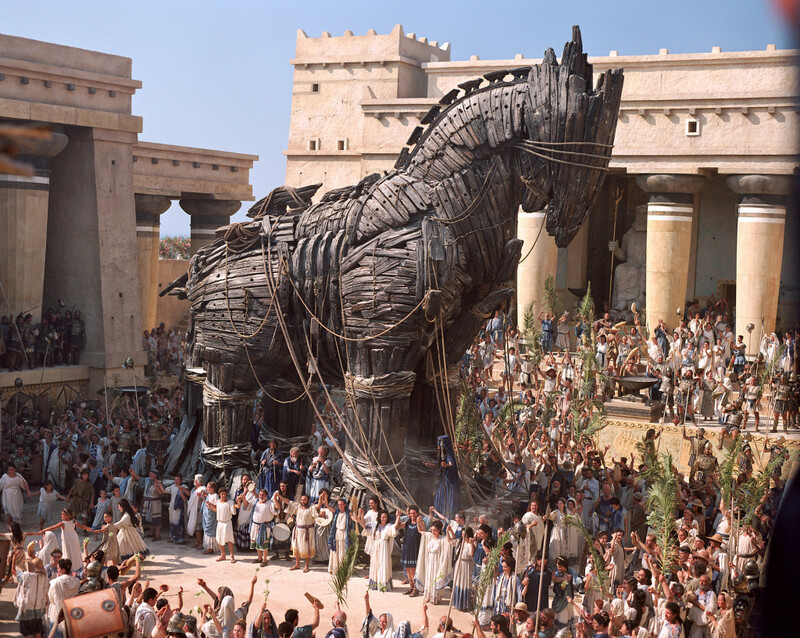 In this greater arc of network participants having more ownership over the network they sustain, and of citizens having more ownership over the commons they build, the b-word was a Trojan Horse. A shared linguistic facade to fight for this ethos. The b-word space of 2017 was an interesting amalgamation of people looking to fight for ethos via money, and people looking to make money via ethos. Replacing the b-word with open networks can help inform what parts of this industry we should embrace and what parts to shed off in order to come back stronger. All this aside, I’m incredibly excited for programming open networks where participants have more power. Tools to build better networks should be exciting for new network builders and existing participants alike. It will be a long road but an inevitable one. Stagnant services that overly rely on game theoretic moats should wake up. Your time is up. Whether abruptly or over time, the world will trend towards more openness and shared stewardship of the commons.